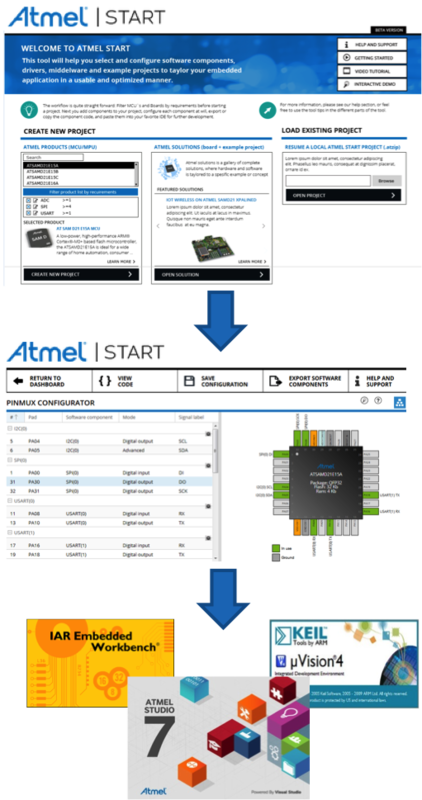 Atmel START is an innovative online tool for an intuitive, graphical configuration of SAM and AVR® microcontroller projects. It lets you select and configure software components, drivers, and middleware, as well as complete example projects, specifically tailored to the needs of your application. The configuration stage lets you review dependencies between software components, conflicts, and hardware constraints. In the case of a conflict, Atmel START automatically suggests solutions that fit your specific setup. With graphical pin multiplexing and clock configuration, you can easily match your software and drivers with your own hardware layout. The tool also provides automated assistance for retargeting projects and applications for different devices. Getting that sample code to run on your board has never been easier. Atmel START is based on the latest generation of the Advanced Software Framework 4 (ASF4). This series of videos shows you how to use Atmel START, ASF4, and Atmel Studio IDE to develop and debug a project for the SAM L21 microcontroller. 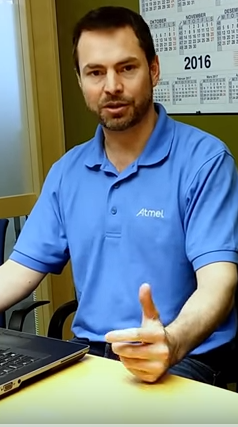 Glen also demonstrates many valuable tips and tricks for Atmel Studio IDE. For example: Do you know what 'F1 datasheet help' is? Watch video 8 to see it in action.